On April 15, 2013, brothers Dzhokhar Tsarnaev and Tamerlan Tsarnaev smuggled two homemade bombs to the finish line of the Boston Marathon. There, they detonated the devices, killing three people and injuring hundreds more. In the aftermath, Tamerlan was killed in a police shootout, while Dzhokhar was arrested and later sentenced to death for using a weapon of mass destruction. Using, but not making, because some believe the brothers weren't actually smart enough to do that. During Dzhokhar's trial, the prosecution tried to prove that he and his brother had themselves created the bombs. How they were made was clear -- with a bunch of pressure cookers, black powder, Christmas lights, and instructions found in al-Qaeda's weird English-language magazine. They proposed that Dzhokhar had purchased hundreds of fireworks in order to scavenge the black powder for bomb fuel, but those charges didn't stick. Explosives experts figured that this kind of bomb-making still required a level of technical expertise that the brothers simply didn't possess. Even stranger, not a trace of bomb-making equipment was ever found at their homes or dorms, which had to have served as their workshops. So maybe the Tsarnaevs weren't merely ruthless terrorists; maybe they were lazy and stupid ruthless terrorists. United States Attorneys Office via Getty ImagesMoments before he uses the same finger to pick his nose and eat it. This brings us to Daniel Morley, a local and more-than-casual acquaintance of the brothers who couldn't fit a bomber profile more if he posed for every picture in sunglasses and a hoodie. Not only does Morley bear a striking resemblance to a mysterious figure who helped the brothers rob a convenience store before their final shootout, but (following his arrest for threatening to kill his parents, no less) he was also found to have converted his room into a bomb-maker's paradise, complete with tools, fertilizer, improvised detonators, shrapnel-suitable debris, recipes for thermite, and the exact same brand of pressure cooker that was used in the bombings. So unless he's both a crazed bomber and a homemade casserole enthusiast, that can't be a coincidence. Sadly, we'll probably never know whether Morley was the third Boston Marathon bomber, because the investigation into his antics was closed on the orders of the FBI, which also ordered him freed from custody without explanation and arranged for him to be vacationed to a mental health facility until one month after the trial of Dzhokhar ended. Considering that the feds were also skulking around in Morley's neighborhood weeks before the bombing and are refusing to tell anyone why, it's starting to look an awful lot (emphasis on "awful") like a really bad dude got a get-out-of-jail-free card because someone messed up. 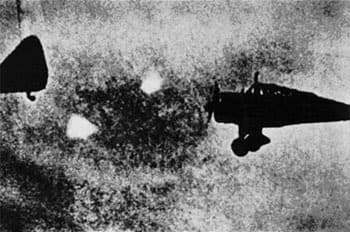 Did World War II Pilots Really See "Foo Fighter" UFOs? Imagine that you're a fighter pilot undertaking a dangerous mission when, for whatever reason, you look out of your window and see a shining light. Best-case scenario, it's nothing but a bright star. Worst-case scenario, it's an enemy spotlight and you're about to die in a blaze of glory. Weirdest-case scenario, it's an alien phenomenon stalking you through the treacherous skies. In the later stages of World War II, members of the 415th Night Fighter Squadron, who were in constant dogfights over the Rhine, started to report some far-out stuff. According to the flying aces, they were being followed by an inexplicable series of lights -- sometimes green lights, sometimes red lights, sometimes one light, sometimes up to ten lights, sometimes slow-moving lights, sometimes lights that would outmaneuver their asses like it was a scene in Extraterrestrial Top Gun. Only one thing remained constant: These lights were clearly fascinated by the pilots. The first time they were spotted, the crew reported seeing "eight to ten bright orange lights off the left wing ... flying through the air at high speed. [The plane] turned toward the lights and they disappeared ... later they appeared farther away. The display continued for several minutes and then disappeared." This became such a common occurrence that the pilots created a nickname for these alien lights, "foo fighters" -- after something from a Smokey Stover comic of the time and not Dave Grohl's first words. According to the squadron, the sightings continued for weeks and months, but as the lights never appeared on the military's fancy new radar, high command thought their soldiers had gotten a little shell-shocked and ignored their ramblings. That is, until an embedded reporter from the Associated Press picked up on the story and propelled it to newspapers across the country. After that, the military began seriously researching whether these things were a danger to troops -- or, y'know, some kind of new Nazi weapon to steal when the Russians weren't looking. 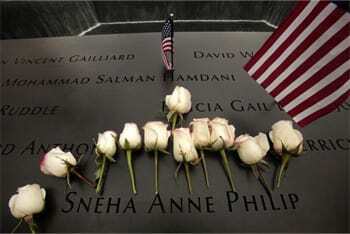 On the morning of September 10, 2001, Dr. Sneha Anne Philip waved her husband Ron off to work and went on with the rest of her day, which included doing some chores, going into downtown New York, buying clothes, and vanishing into the mists of time. When Sneha didn't return home on the evening of the 10th, Ron assumed that she was out partying with friends. When she didn't reappear by the morning, he figured she was staying over somewhere. When he left for work, 9/11 happened -- two blocks from their apartment. Michael ForanYou may have heard of it. Now desperate to see if his wife was OK, Ron caught a ride to the apartment and checked for evidence that she'd returned. There wasn't any. He checked with her family and friends. They hadn't seen her. A search of local hospitals yielded no results either. In the chaos and confusion of the day, she had vanished. In the aftermath of major disasters, it isn't uncommon for people to go missing. On 9/11, 1,113 people were never found or identified, leaving their families nothing to bury. However, nobody knows whether Sneha fell victim to the attack or if something had happened to her the previous day. There were signs pointing in almost all possible directions. Right before the plane hit, a woman of roughly her description was captured by security cameras in her apartment building lobby, only to turn at the elevator and make a run for it. If that was Sneha, it looks like a heroic medical professional dropping everything to go help the victims of a disaster. That's the story her family wanted to believe. There was only one little snag: Sneha had been living a double life. When the police started looking into Sneha's case, their profile of her wasn't that of a heroic martyr, but more like the kind of person who probably has a go-bag under her bed. Sneha was apparently very unhappy in her current life, frequently going out alone to dark lesbian bars ("conducting bisexual acts," as they claimed her husband put it) and constantly getting into serious trouble at work on account of "alcohol related issues." Because of this, it was the court's official stance that Sneha could have as likely committed suicide, been the victim of a crime, or run off to start a new life with less guilt and less dude. Ron and Sneha's family vehemently denied everything, claiming that the police were making up a story to cover their sloppy work. They kept campaigning to see their loved one remembered as a hero, and following a tough battle with the OCME, Sneha was added to the list of victims in 2008 after all, making her the 2,751st official victim of the attacks, although it's hard to see that as a "win." Carolyn Cole-Pool/Getty ImagesCon- ... congrats? During the 1920s, luxury cruises weren't doing so hot. Something about an unsinkable flagship getting iceberged into oblivion was really hurting ticket sales. But then Prohibition hit the U.S. and boat captains realized they could still sell booze through a loophole in maritime law. One such vessel in this miniature cottage industry of proto-party boats was the SS Morro Castle, which transported all kinds of passengers between Havana and New York, mostly to get sauced. Business was booming, until everything burned down. On the evening of September 7, 1934, the captain of the Castle Morro, Robert Wilmott, started complaining of a stomach ache and went to his cabin to rest. In peace, apparently, as he was discovered dead hours later, the apparent victim of a heart attack. We can't really know how he died, because before the ship reached land, a fire broke out in a storage locker. Aided by the vessel's ornate woodwork and the fact that everything and everyone was pretty much soaked in alcohol, the resulting inferno was devastating, and 138 souls were lost. Library of CongressThat's not steam. So what the hell happened? Did the captain piss off Poseidon or something? Investigators were never able to figure out what had caused the fire. However, later experts suspected chief radio engineer George W. Rogers as the likely arsonist. Why? Maybe because his previous place of employment also suffered a fire-related catastrophe after the owner accused Rogers of stealing equipment. Or maybe because a radio repair shop Rogers bought after the Morro Castle sank also burnt to the ground after it failed to turn a profit. Or maybe it was how after his shop burned down, he joined the police and tried to murder his captain with a bomb for asking suspicious questions about the Castle Morro. Oh, and after he was released, he killed two people over a debt he owed them. We're not saying that Rogers definitely torched the Castle Morro, but either the guy was a serial arsonist or someone owed him a lot of favors. However, his possible motive for burning down a ship in the middle of the ocean (besides the fun of the challenge) remains unknown. Some have suggested that he was paid by the steamship company to burn the Morro to the seabed for the insurance money, while others have suggested that he was a federal agent tasked with scuttling the Morro for -- and we can't emphasize how little evidence exists for this -- transporting arms to Cuban rebels. Our money is still on him just being a psychopath, though. Did The FBI Blame The Wrong Man For The 2001 Anthrax Attacks? After 9/11, the country was ready for another airborne attack. Missiles were locked, airport security was tightened, and many, many birds were interrogated by the CIA. Then, only a week later, the wrong kind of airborne attack happened. Instead of planes, it was clouds -- clouds of anthrax, killing five and gravely infecting 17 others. And it wasn't a religious fanatic, but a rogue biodefense researcher named Bruce Ivins. Well, maybe it was Bruce Ivins. For years, the FBI's biggest suspect was Steven Hatfill. However, Hatfill successfully sued their asses for $4.6 million for harassing him without any decent evidence. Needing a new suspect, they directed all their attention to Ivins, but it turns out that again their case against him was really sketchy as well. Unlike Hatfill, though, Ivins never sued them, mostly because he committed suicide days before the FBI formally charged him as the sole culprit. Then they closed the case. 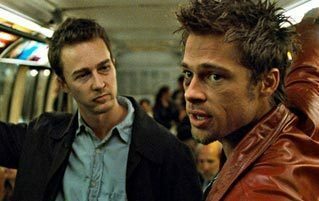 Federal Bureau of Investigation"Look, we really don't want to pay $2.5 million, OK?" Ivins could have been their guy, but there are too many holes in the investigation. It would've taken Ivins 240+ hours to cultivate the necessary number of anthrax spores, but none of his colleagues ever witnessed him using the required laboratory equipment. The FBI also didn't find any rogue spores in his workplace, vehicle, or home. But the biggest piece of evidence, according to the feds, was that the specific strain of anthrax used in the attacks had been created by the biologist. As far as evidence went, they treated it like someone murdering a person by shoving their driver's licence down their throat. Of course, it was later revealed that Ivins had provided many samples of his RMR-209 strain to any researcher who requested them. If the smoking gun says "Smith & Wesson" on the side, you arrest Horace Smith and Daniel B. Wesson, right? Ultimately, however, it doesn't matter. Despite the fact that the National Research Council later released a report calling the scientific evidence against Ivins, to put it in layman's terms, total garbage, the FBI refuses to revisit their findings or allow an independent inquiry to review the matter, considering the case closed and keeping their fingers crossed that dead men will never be allowed to launch defamation lawsuits. 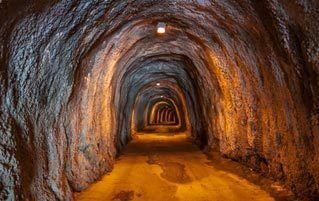 For more, check out 6 Utterly Terrifying Unsolved Mysteries No One Can Explain and 5 Creepy Unsolved Disappearances That Nobody Can Explain. The true mystery is why you're not following us on Facebook.